At the Palm, there is no such thing as running out of options to top up on that super-luxury living. Even for ones that come with the signature of a “branded” experience. The Royal Atlantis has released a further 20 plus residences for sale, and taking the tally up to now to about 50. In all, the development — connected to the Atlantis hotel via its lobby and a sky pool — will have 231 apartments. The new releases, with the entry set at Dh6.99 million, come at a time when investor interest for the Palm is going through a strong revival this year. In fact, across Dubai, the appetite for prime has been on an upswing. The numbers show as much. “In the first nine months, prime transactions (those defined as Dh10 million and anything above) in Dubai were registered at Dh2.27 billion, up 9 per cent from the same period a year earlier,” said Maria Morris, Partner — Head of Residential, Knight Frank M. E. “In prime areas where new supply of quality stock had been limited, such as Palm Jumeirah and Emirates Hills, we have seen price growth return over the short term. Of the first set of Royal Atlantis released, Knight Frank has seen quite a bit of take-up. The strategy will be to keep releasing additional units in batches until the completion in the third or fourth quarter of 2019. Of the current releases, the garden suites carry a Dh37.5 million tag and there’s a penthouse “currently” at Dh47 million. As is the case with such rarefied developments in Dubai, buyer interest has been pretty cosmopolitan, with “over 50 nationalities” expressing such a sentiment. Kerzner International is the operator of Atlantis The Palm and the One & Only properties in Dubai. It will be operating the Royal Atlantis as well. 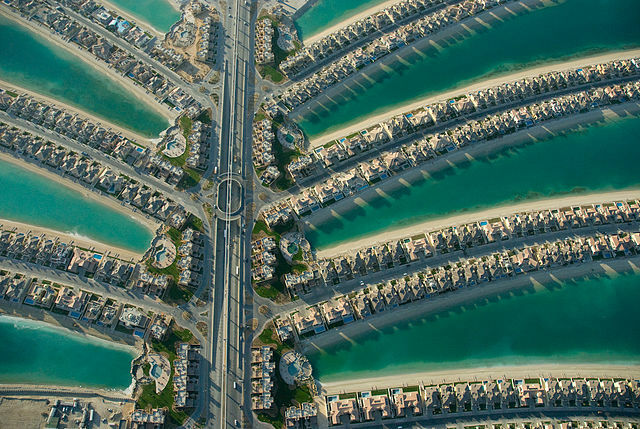 * Between the hotel, the residences and the connected beach, the Atlantis project spans 17 hectares. The residences are spread over 36 floors. (The hotel stretches to 46 storeys and feature 795 rooms). * The 231 apartments making up the Royal Atlantis have over 80 different layout variations. * The sky pool connecting the Royal Atlantis residential block with the hotel is 90 metres long and placed 95 metres off the ground. * The resort component of the Royal Atlantis Resort & Residences will cost around $1.4 billion to build.